In this episode, you will learn about how and why you want to kick toxins to the curb for all of the products in your life. If you are someone who puts on a full face of makeup each day, then you are well over 80 hazardous chemicals in the morning. The biggest pollutants in our home overall tend to be fabric softener, dryer sheets, air fresheners (plug-ins and wax burners), and candles. Here is the deal, and I’m not trying to sound dramatic here, but the truth of the matter is that its poison. Using these products literally poisons you and your family every single day with chemical compounds that you can’t pronounce every single day. 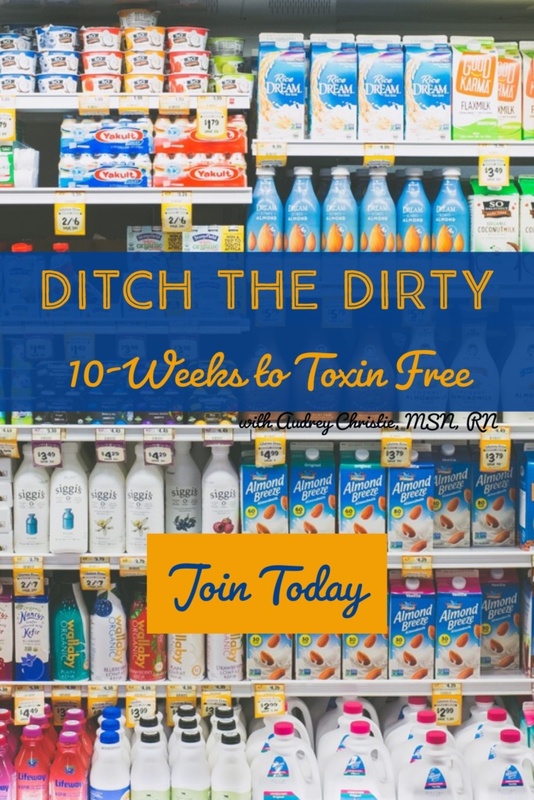 These toxins come in the form of the bright blue dish soap next to your kitchen sink, the spray cleaner you clean your counters with, processed food, and all the other things you hear me talk about. Health and safety data only exists for about 15% of the chemicals that are allowed via “regulation” in our products. Be it cosmetic or personal care/hygiene stuff, or cleaning products. So many of the 15% with data and many more of the rest of them are known to cause things like asthma, endocrine disruption, and a whole host of other issues. Plant-based products are a better way. Essential Oils are chemical free, they are cleanly distilled or cold pressed from pure plants and there isn’t anything extra in them. If you pick up a bottle of Lemon Essential Oil, it is just Lemon. If you pick up a bottle of Lavender or Peppermint, its just lavender or Peppermint. My favorite thing about essential oils is that like a multi-use appliance there are millions of uses for essential oils. You can use them as the active ingredients to replace chemicals in cleaning supplies, in personal care products like toothpaste or deodorant, you put them in a diffuser and reap the benefits aromatically or aromatherapy benefits. You can use oil infused nutritional supplements, as there is really good data emerging that having the plant product of essential oil in the supplement helps the body to assimilate the micro-nutrients better. If you don’t know my story already, part of my training, well my initial training after nursing school was Certified Clinical Master of Aromatherapy. I like to call it my gateway drug into this crunchy world of natural and holistic healing was through essential oils. Over 10 years ago, I had a little journey you could call it, away from traditional western and allopathic medicine to the holistic and natural side as someone in private practice of functional nutrition and energy medicine. Now we use exclusively natural solutions for health and wellness, herbs, essential oils, crystals, micro-nutrient supplements. Many people look at that journey and comment, “wow, traditional RN is a pretty far leap from the crunchy side.” And it is. When my oldest daughter was born, we had some issues that forced us to look at some non-traditional treatment options, outside of standard medications. She couldn’t take things like Tylenol, Benadryl, Antibiotics, and all of the things you give babies to help with the things that babies have because all of those products were manufactured with food dye. When she was 7 months old, we found out rather traumatically that she was severely and dangerously allergic to red and yellow food dyes. In our search for things to help our baby girl and our family, we found essential oils. I keep saying “we,” but I will stop here with a funny, to be honest, my husband is crunchy by marriage, not by choice sometimes. After this incident with our kiddo so many years ago, our family’s journey started slowly at first, through essential oils and so much research. I wanted to know why, why does Red 40 cause an allergic reaction, for example. Doing this work opened up a whole new world knowing all of the toxins we are exposed to incidentally and intentionally on a daily basis. The rest is history, it sent me down a path that led me here, to search out all of the education and training that I could to serve people and to be the voice, to rise above others to say, “this isn’t right!” It’s not right to be exposed to these chemicals, it's not right that we are allowed to purchase these and bring these into our home and put them on our body. 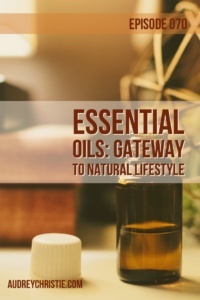 Through learning and teaching of what started so many years ago with essential oils, that’s why I say essential oils are a gateway to a natural and holistic lifestyle, I found a whole new way to help people. It’s really quite simple. Essential oils are the most powerful part of the plant. They are distilled or cold pressed from shrubs, flowers, trees, roots, bushes, fruit, rinds, resins, and herbs. Each oil has its own unique set of properties and natural, organic compounds. In humans, these natural compounds support every system in the body: your skeletal system, muscular system, circulatory system, endocrine system and your hormones, respiratory system, and immune system. They support brain health and a healthy weight. Essential Oils are extensively for spiritual and emotional support. They have been used for thousands of years as beauty aids and for emotional support. Oils can be used as an alternative to cleaning chemicals in the home so that you are getting benefits from those products as well. You can literally start swapping out every single chemical in your home to live a purer lifestyle, and to take away a big misconception, it won’t cost you a fortune. All-in-all there are over 300 different oils on planet earth, and there are more being discovered. It takes about 10-20 oils to make yourself a solid kit for just about everything you ever needed. One cool thing, you do not need to be an aromatherapist like me to use them. In most cases, just rub it topically into the skin. There are three main ways to get oils into your system, I dive into deeper detail on this in my EO Immersion, 90 Minutes to Becoming the EO Expert in Your Home course (Free to my WholeBeing EO Tribe!). The 3 ways are, the English way to apply it topically—rub it on the skin; the French way ingest and cook with it; the German way to diffuse and inhale, which is the most effective method because it doesn’t have to pass through the digestive system. How long do essential oils last/how fast do they work? This is important because it also demonstrates why its so important to get toxic chemicals out of your life. Tests have shown that when you are exposed to essential oils (or toxic chemicals) it takes 26 seconds before they are found in measurable amounts in your bloodstream. So 26 seconds to therapeutic effect. This means that if you smell fabric softener if you are bare-hand cleaning a counter and get something like 409 on your hand, it also takes 26 seconds for those chemicals to found in measurable amounts in your bloodstream. Those chemicals that have warning labels that say to call Poison control if you ingest them, because they are toxic in your bloodstream. They are processed in the body really quickly, but that depends on the person as to how much and how fast. Essential oils are reapplied often when you are using them for a purpose because the body uses them so quickly. Are essential oils a new fad? Essential Oils were used by some of the oldest indigenous people on the planet for millions of years. There are over 1,100 direct and indirect mentions of essential oils in scripture. Essential Oils were used by midevil Europeans as well. Eventually, as manufacturing increased, essential oil use decreased. They sort of fizzled out for new shiny objects. Around the time of World War II, people begin to “re-discover” essential oils. Since then the science has really grown, and is growing every day around the benefits of Essential Oils, for our human suits as well as replacing toxins in our home and our environment around us. Here’s what you need to know, while there are more than one reputable and safe company to buy essential oils from, not all essential oils are safe and chemical free. You do have to be careful. Never, ever buy your essential oils from the grocery store. They are often adulterated, chemically extracted, and full of chemical solvents. It’s critical to seek out companies that can stand behind their product, and not just on paper, but actually from the time the plant is sprouted or from the seed, to the time the safety seal is put on the bottle. You want to make sure that the company doesn’t just say “third party tested” but that you can actually access and read those tests for yourself. Why go through the trouble of switching to less toxic lifestyle if you are just using oils with toxins? (They won’t work for body support.) You can roll into WalMart and find a $7 bottle of Frankincense, but it costs more than that per bottle to distill it. So you really have to look at what you are getting there, that’s a big red flag that its either diluted, adulterated, or an unsavory practice was used to extract the oil. The Seed to Seal promise, where they have high standards in sourcing, science, and testing. Young Living’s conservation practices. It takes a lot of plant matter to make 1 tiny bottle of Essential Oil, and so it's important to me that we do our best to take care of Mama Earth so she can do her best to take care of future generations. Having a company that is conservation minded is really important to me. The bottom line, make sure you are using pure, therapeutic, authentic, oils with no added synthetics or plant species for your essential oils and find a company or team that resonates with your values. If you are just skimming, YES they are safe. Proven over and over again. There have never been any deaths reported for using essential oils in products or for human body system support. 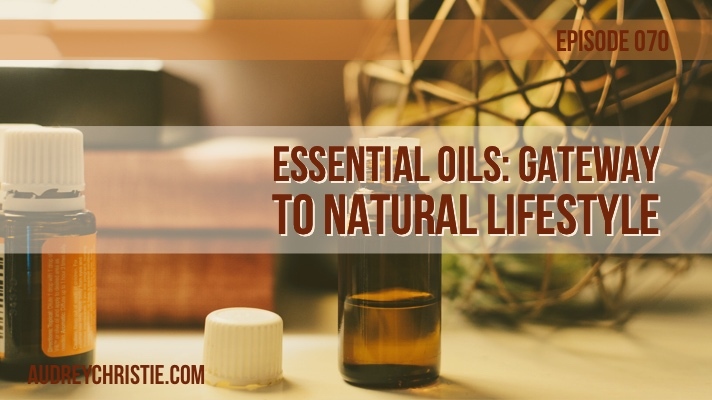 When you are using essential oils for supporting your body for cleaning the bathtub, you are simply returning to the old safe ways of doing things, the natural way. I encourage you to do a few things, first consider swapping out toxins in your home. 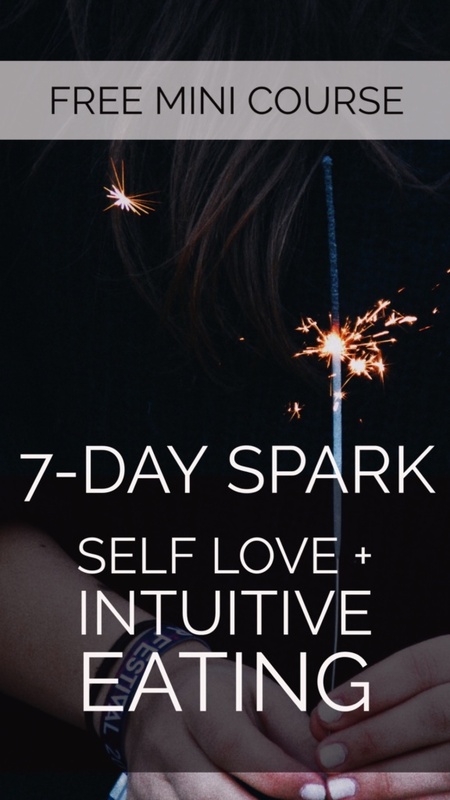 And maybe you swap out 1 or 2 products, maybe you focus on deodorant or toothpaste, maybe you swap out some cleaning supplies or laundry detergent. Every inch that you move in getting toxins out of your life is an improvement. No matter if it takes you 2 months or 20 years. Next, I want to eliminate the fear of not knowing how to use essential oils. I often get asked, “how do I use X essential oil for Y problem?” or “how much of X essential oil do I use for Y problem?” The beauty of essential oils is that they are prescriptive. Yes in clinical aromatherapy school, they did teach us that X essential oil works for Y problem. They even taught us to use X essential oil for Y problem in Z amount. Often, because we are all completely unique, and even though we may have the same diagnosis as another, the reason we have it is unique and singular to each individual. So the way your body reacts to a particular oil or herb, or any other treatment for that matter, is completely different from someone else. So try and oil, see if works, listen to what your body is telling you. Recently I shared that I took a pretty good fall while running and had to do some digging gravel out of my knees and hand. Normally what I would use to support my skin after something like this might be lavender or tea tree oil, from a textbook type answer. But when I walked into my collection of Essential Oils, Copaiba is what I was drawn to. So I used it instead, even though its not textbook for skin support. It was what my body needed in that moment. And you know what, it worked, a few days later, almost all healed up and happy skin! And finally, if you are brand new to essential oils, always start low and slow. The soles of your feet are the most porous area of your body. So anytime you wonder, could an essential oil be right for me for this, and you aren’t sure… start with a drop (slow) on the bottom of your feet (low). If you find success there, then you can move to applying topically in other areas of the body. You can also apply this to your diffuser, less is more, start with fewer drops and see if you need more or less. Get more essential oil education. We have been building and rebuilding the WholeBeing Academy, and I would love you to take the Essential Oils 101 class there if you are interested in learning more about how to integrate essential oils into your home and life. It goes much more in depth that this episode and part of that class covers dilution so you can know how much to use on each member of your family.